After learning the hard (very hard) way that NOT loving myself led to a lot of unnecessary pain and suffering, I discovered that this is the EASIER (easiest) way to TRUE LOVE. When you love yourself, you’ll be okay IF/WHEN someone leaves you. True Self Love isn’t about anyone else, for anyone else, or because of anyone else. It’s about/for/because of YOU — your SELF. Are you hearing me, my dear? Self Love is NOT a self-protection strategy, it’s a self-promotion one. Yes, you’ll promote yourself to a higher standard of loving and living. When you love yourself, you’ll never be alone again. Instead, when you truly LOVE yourself, you’ll realize the importance of being WITH yourself. Always. All ways. You’ll be WITH/FOR yourself, but NOT all by yourself. When you love yourself, you’ll AVOID future pain. True Self Love or not…pain is inevitable. Suffering, however, is optional. True Self Love chooses not to suffer, but chooses to LOVE – even when it hurts. It also allows you to grow through pain versus simply going to it or through it. True Self Love allows you to finally GET YOU. I mean, really GET YOU. And when you do, you’ll no longer feel the need to GET ANYTHING OR ANYONE TO BE WHOLE, HAPPY, OR TOGETHER. True Self Love redefines TO.GET.HER. The only guy or girl you’re going “TO GET” here is the one that you see in the mirror. When you love yourself you’ll be self-centered and selfish. This is definitely NOT TRUE…unless you’re a self-centered, selfish person that happens to also love herself/himself. 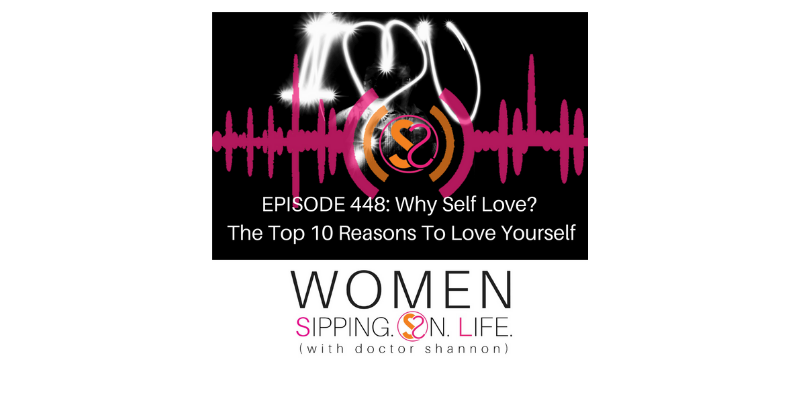 Because IF this is the case, and you truly allow yourself to know you and fall in love with YOU, you’ll no longer feel the need to be self-centered or selfish. Got it? So, no worries about that, okay? Focusing on these things is like telling a Genie or Fairy Godmother what you DON’T wish for. Or like praying to God and constantly complaining. Or like being a professional athlete and playing NOT to lose! That way YOU can become the Great Lover Of YOUR Life, love your life + life’s work well, and make LOVE with your life for the rest of your life. It allows you to get personal. With YOU. Therefore your opinion of YOU matters more to you than anyone else’s opinion of you. In order to love you, you must know you. In order to know you, you must spend time with you. There’s no greater date then the one you LIVE with yourself. Dating yourself keeps you present. Keeps you feeling. Keeps you healing. WELL. There’ll no longer be conditions on your dreams. You dream. You imagine. You see yourself. Truly see YOURSELF, and you become the one you’ve always dreamed you’d BE with. We love others as we love ourselves. This LOVE becomes the limitless (or limiting) factor in our capacity to give and receive IT. Love isn’t a feeling, it’s a capacity. However, it’s not a quantity, but a quality. We care for that which we value. Self care doesn’t create Self Love. Self Love is the ultimate self care and the reason we care. If we truly love ourselves, we’ll care for ourselves. We will care and share. Reason #5: It allows you to be ENGAGED. Fully Engaged. When you fully engage with it, you’ll FIND YOURSELF. IN LOVE. Reason #4: Perfect LOVE casts out fear. The opposite of LOVE isn’t hate, it’s FEAR. When there’s fear, we fight, flee, or freeze…and end up looking for LOVE in all the wrong places, and wearing inauthentic faces. This is where happiness comes from — when we take responsibility for creating our happiness, and choosing it. We’re able to bring the MERRY to our days. Every. Day. You create your “happily ever after” until death do you part — and beyond. Reason #2: Others will love us as we love ourselves. When we fully engage with IT, we’ll find LOVE and it will FIND US. Reason #1: God is LOVE. We’ve been created in the image of LOVE. When we love ourselves, we engage with the TRUTH and Divine nature of who we are. When you engage the LOVE IN you, you’ll be IN LOVE. THE TOP REASON TO LOVE YOURSELF is because LOVE is the ONLY thing that matters and it’s why YOU matter – heart and soul. It’s the most CREATIVE FORCE available, and with it YOU can create the desires of your heart. When you go within, you’ll no longer go without. This is the TRUTH, and it’s knowledge of the truth that sets us free. Why Self Love? It’s FREEDOM. And it’s free if you choose IT. Which reason(s) do YOU choose? It’s time to choose the LOVE LIFE you’ve always hoped for. Write down all the reasons YOU love YOU.